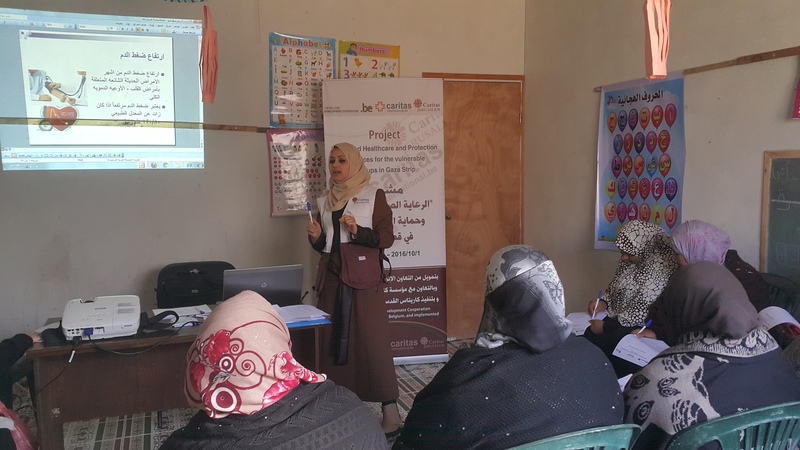 In December 2016, Caritas medical outreach team continued working in the three local CBOs at Mawasi, Shokeh, and Sawarha. 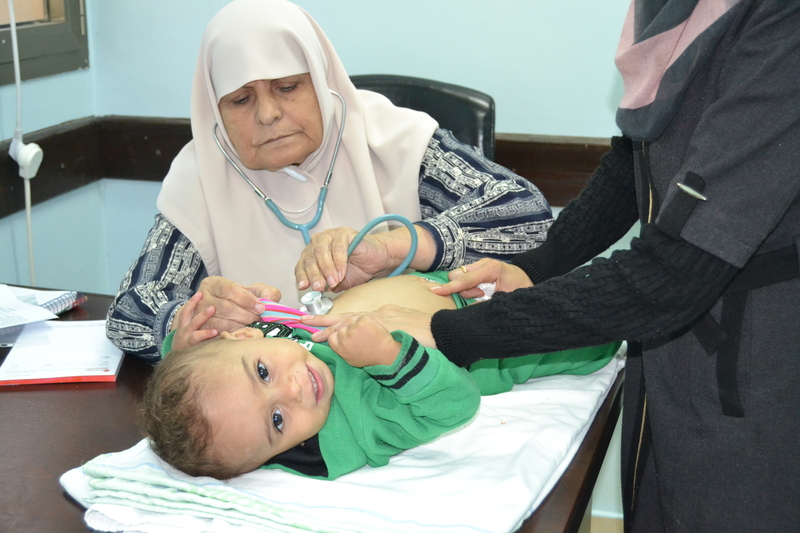 The medical team provided services and medicine to 246 sick children aged between 0-12 years old. 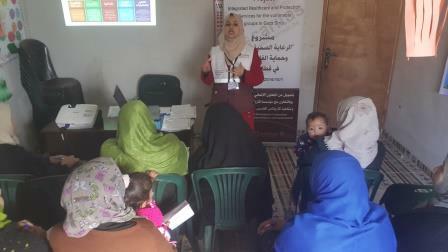 The children’s parents were informed about the service through the local facilitators who informed the community about the project services in the intervention areas and invited people to come with their children to the clinic for screening and treatment. 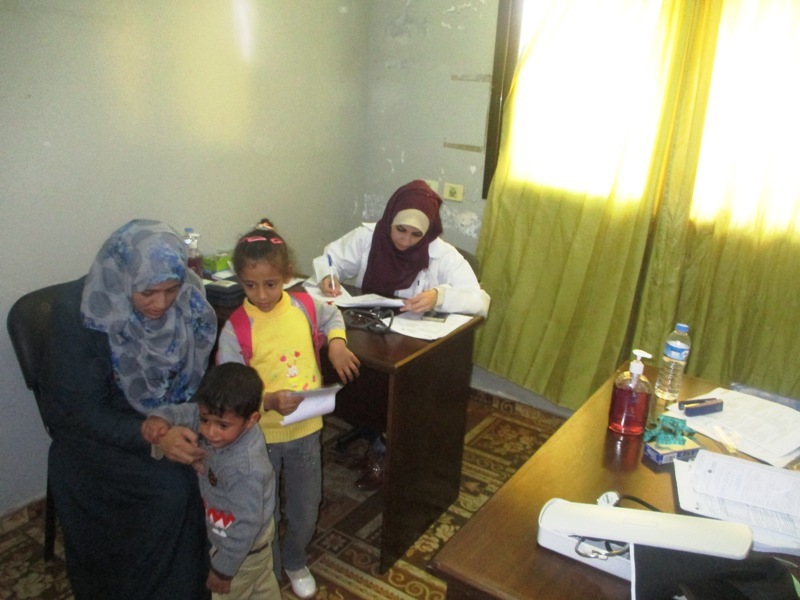 The medical team visited each area eight times during the month to provide outreach services. 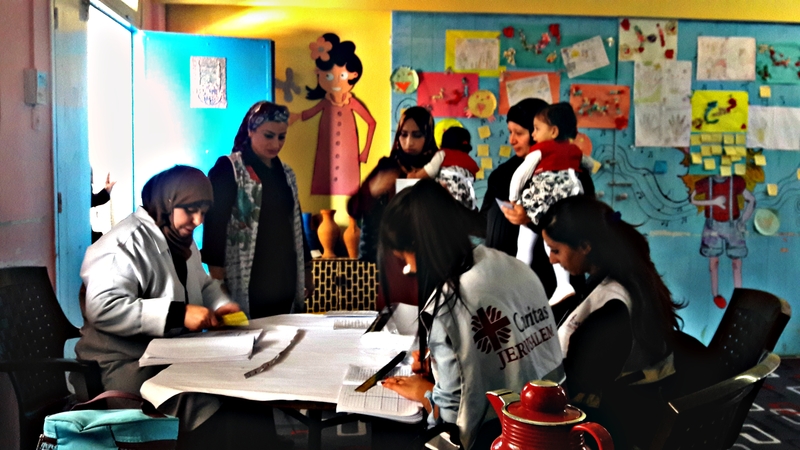 The children were checked thoroughly including the basic height and weight measurements. 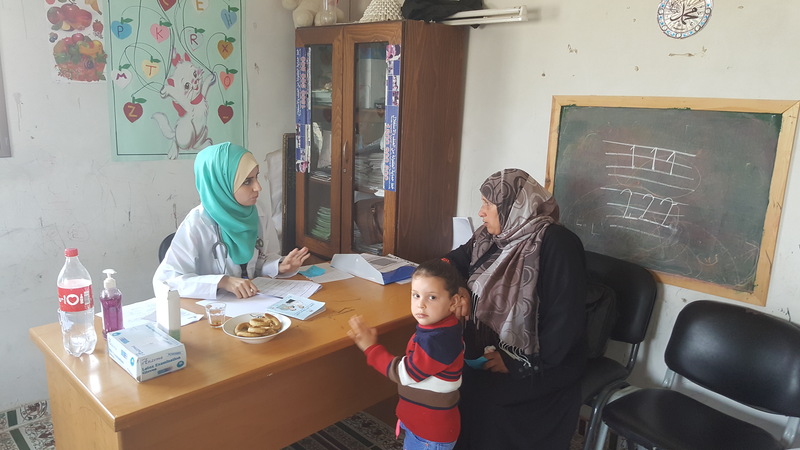 Children under normal growth curves were provided with more laboratory investigations to diagnose malnourished, anemic, underweight, wasting or stunting and then a patient file was opened for each child to follow up with his/her case. 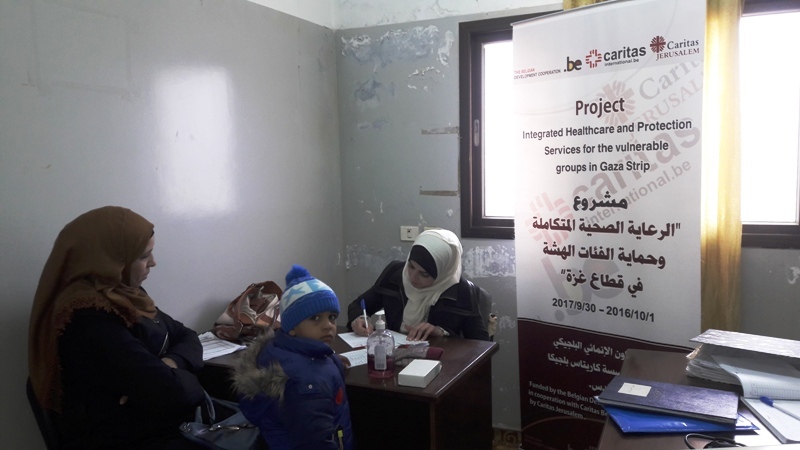 During December, the Caritas medical outreach team continued their work in the three local CBO’s at Mawasi, Shokeh, and Sawarha. 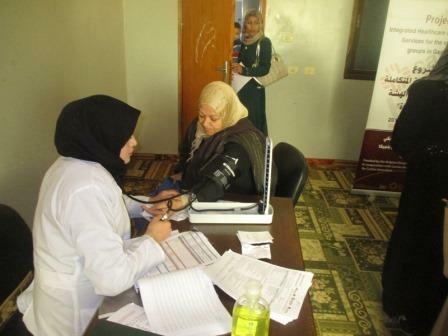 The medical team diagnosed 134 new cases of NCD patients and followed up with 187 previous patients. 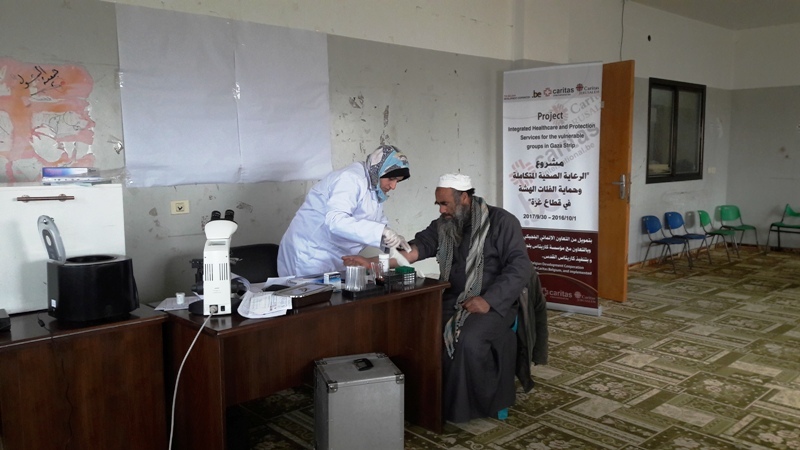 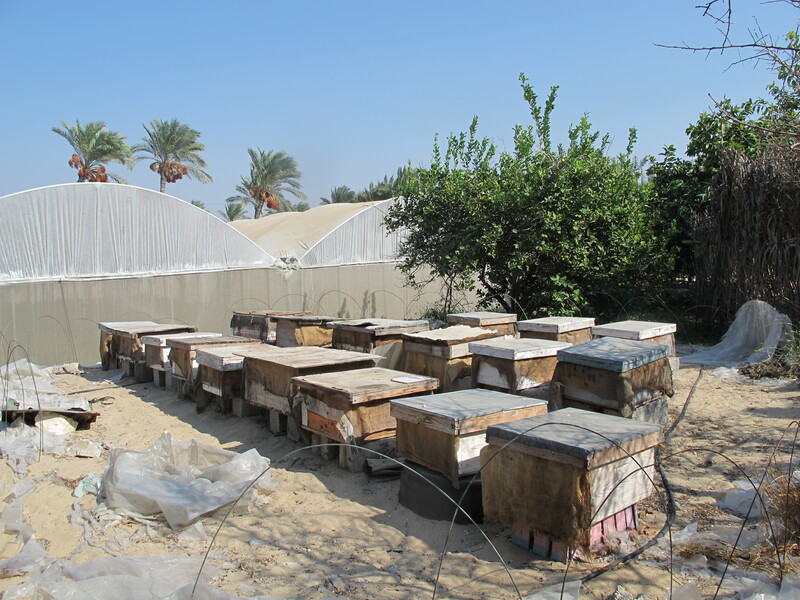 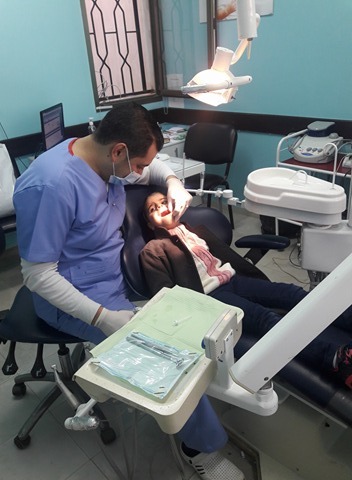 The new cases were among the people contacted by the local facilitators who arranged for all people over 40 years old and living in those areas to come to the CBO’s for screening. 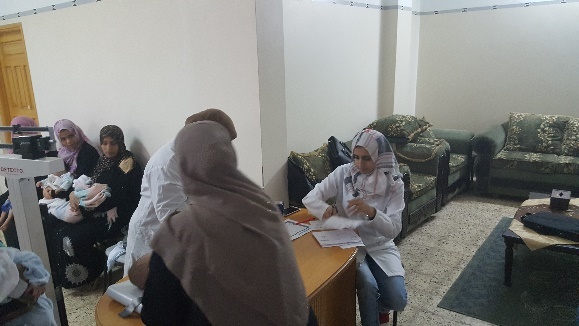 The NCD patients were checked for blood pressure to discover cases of hypertension and measured their sugar levels to identify diabetes. 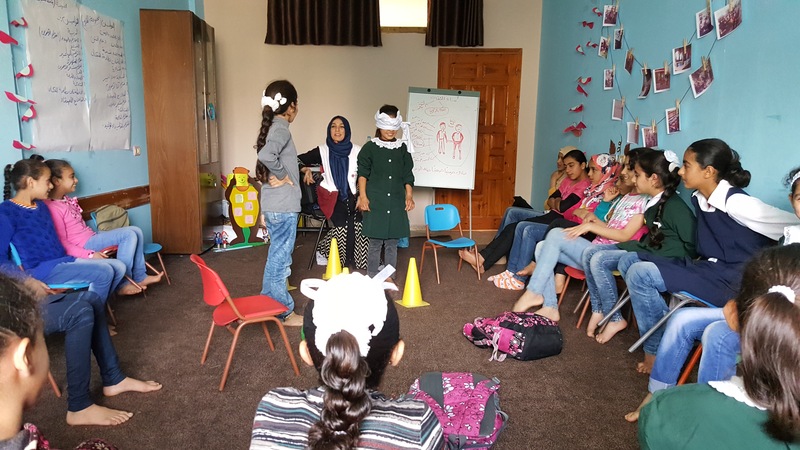 Psychosocial support is a necessary element to create a comfortable and safe environment within children and their parents. 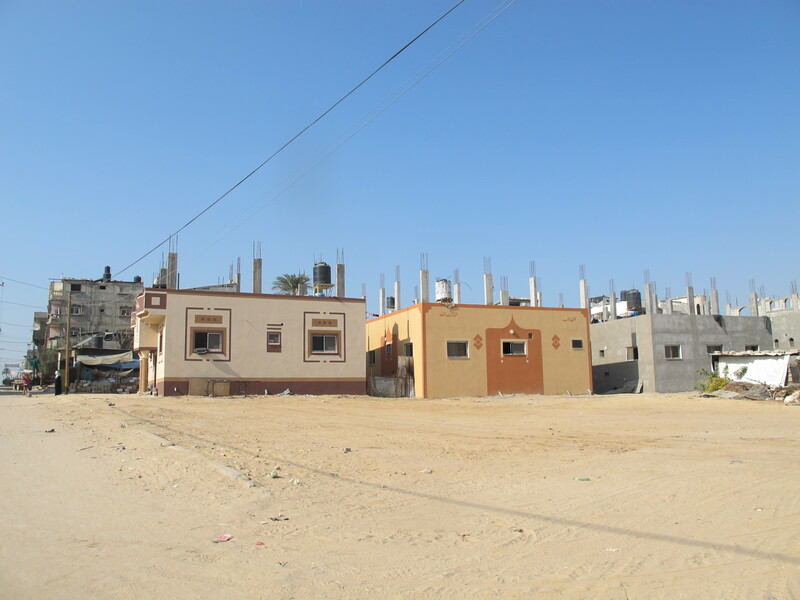 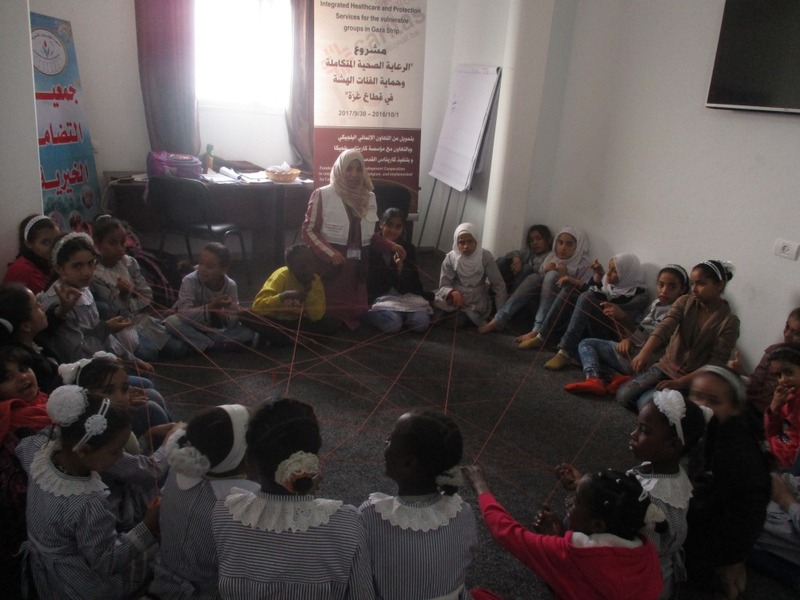 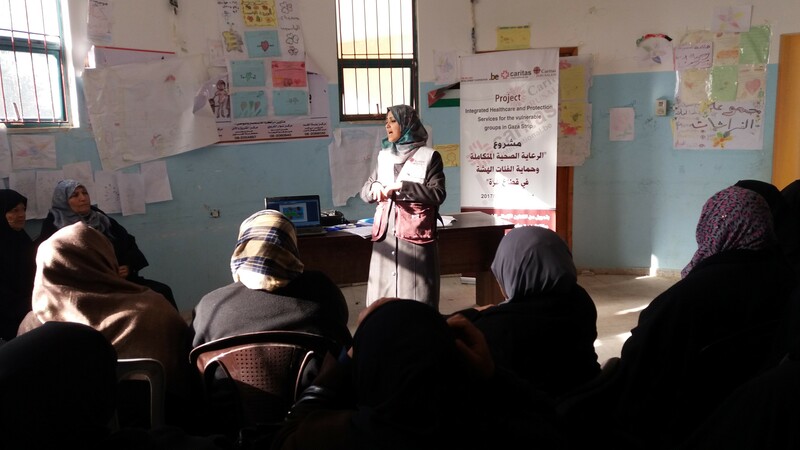 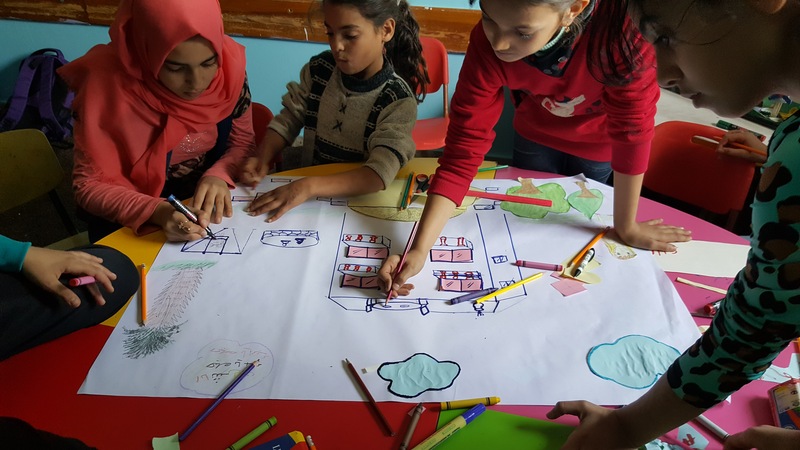 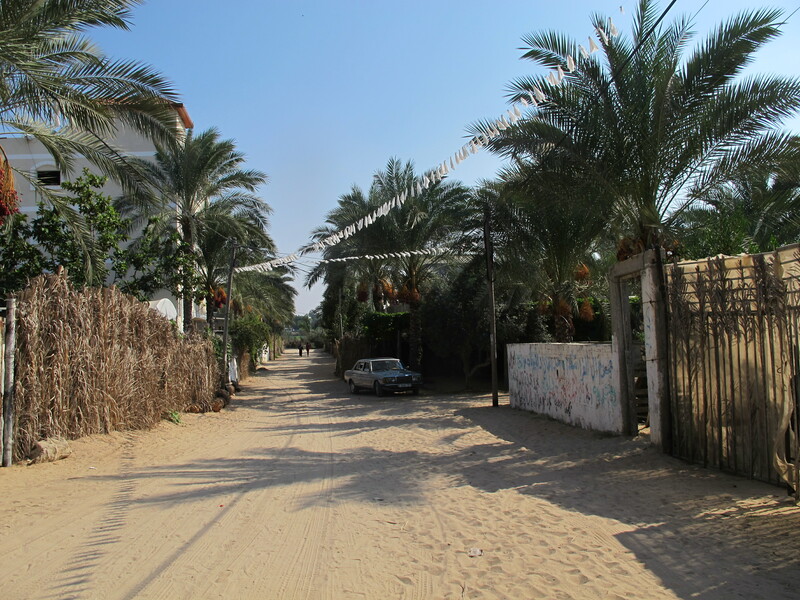 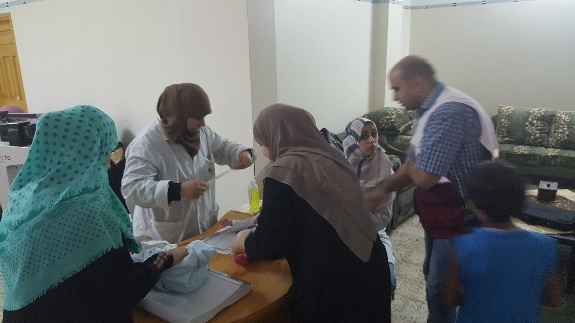 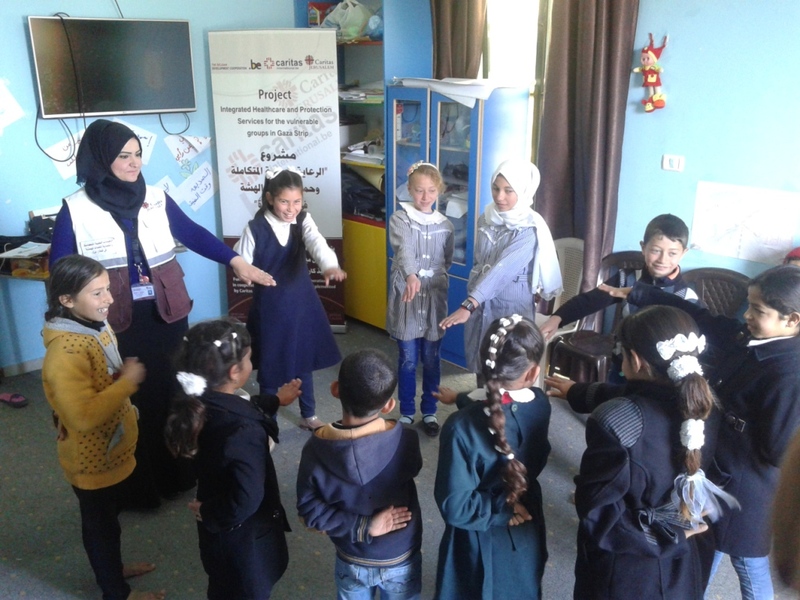 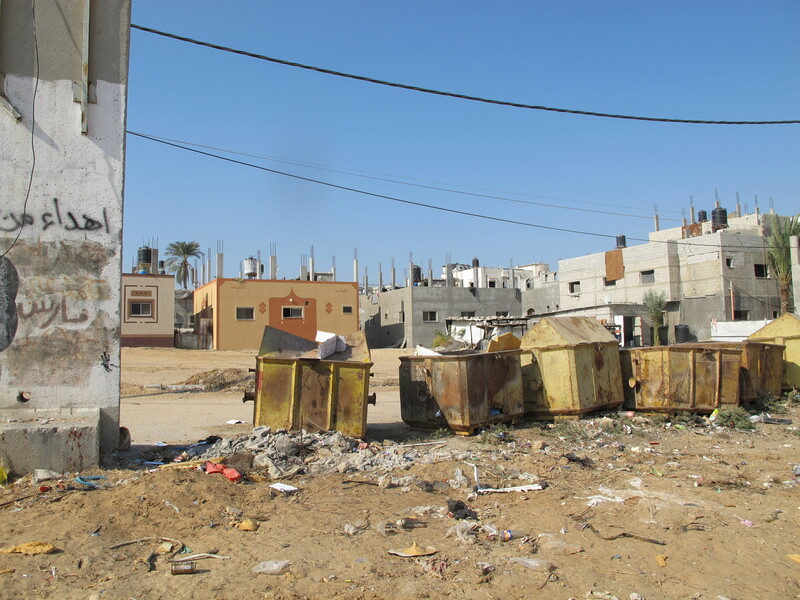 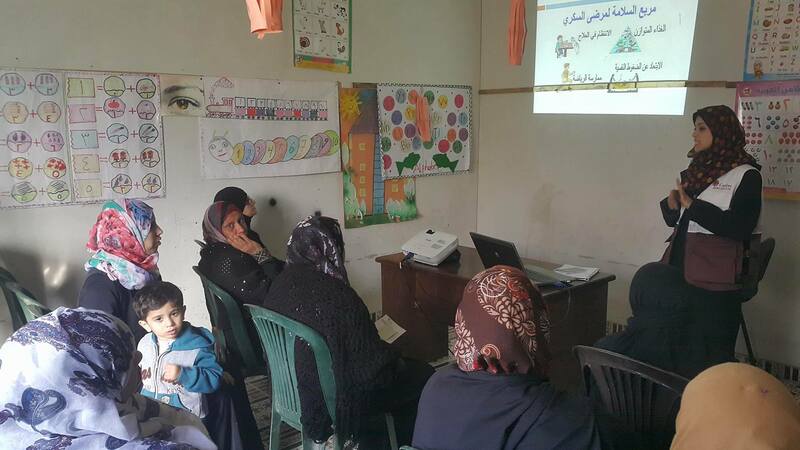 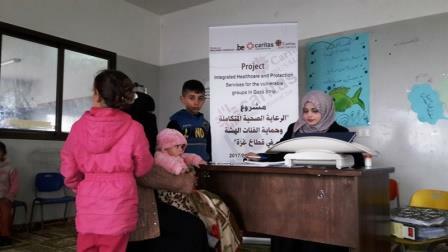 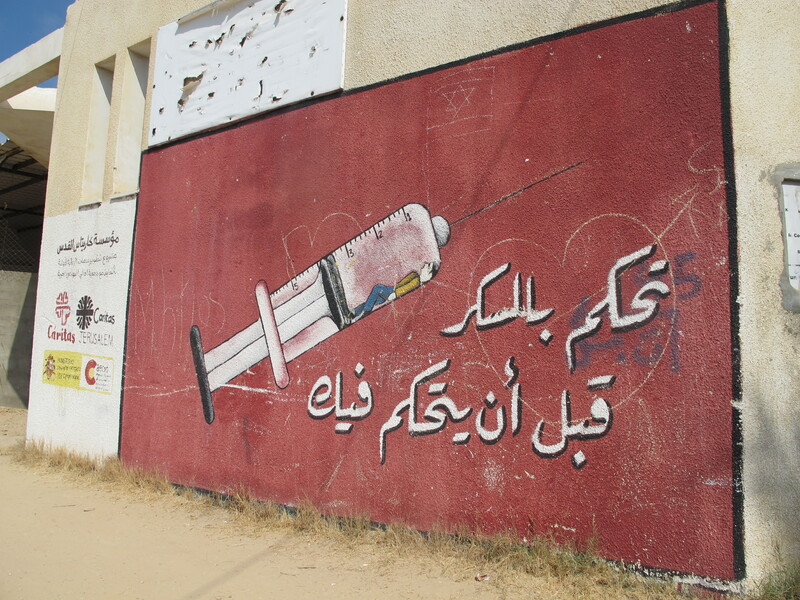 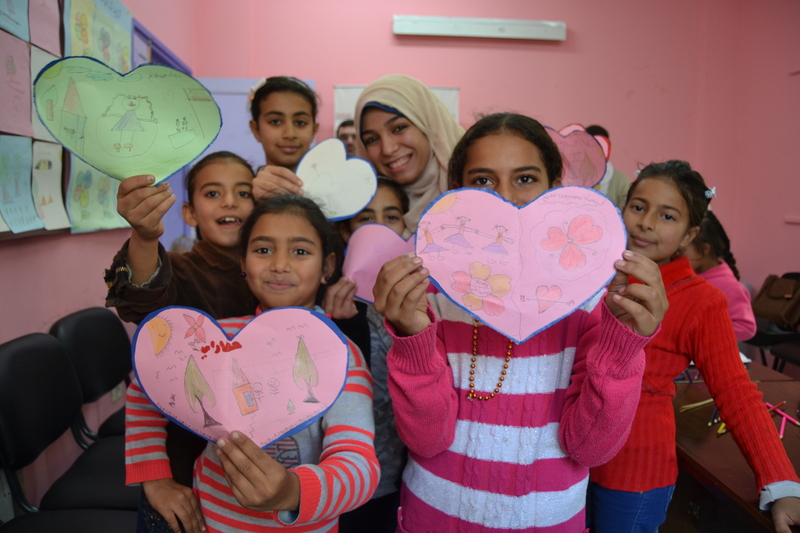 In Gaza, our psychosocial specialist and facilitators held 233 psychosocial sessions for both children and women. 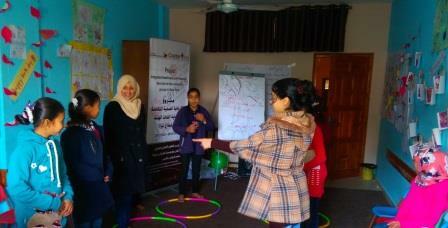 These sessions dealt with ways of facing problems, planning for future, life skills and ways to cope with fear. 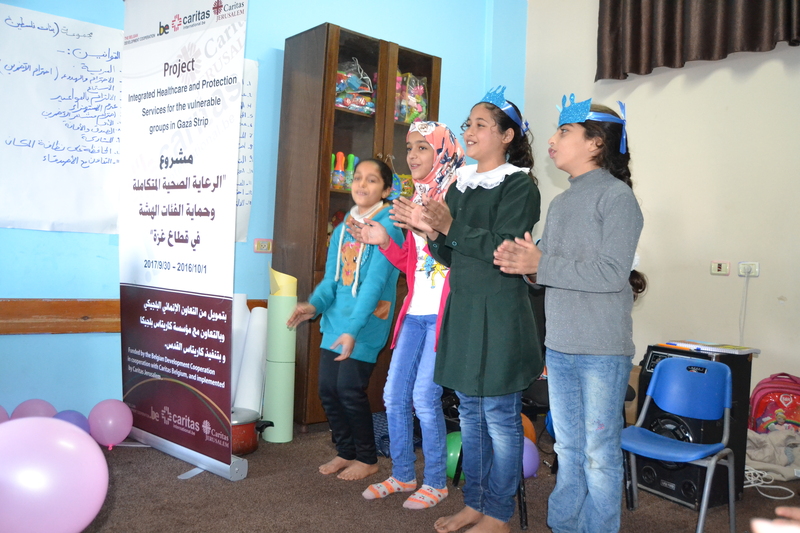 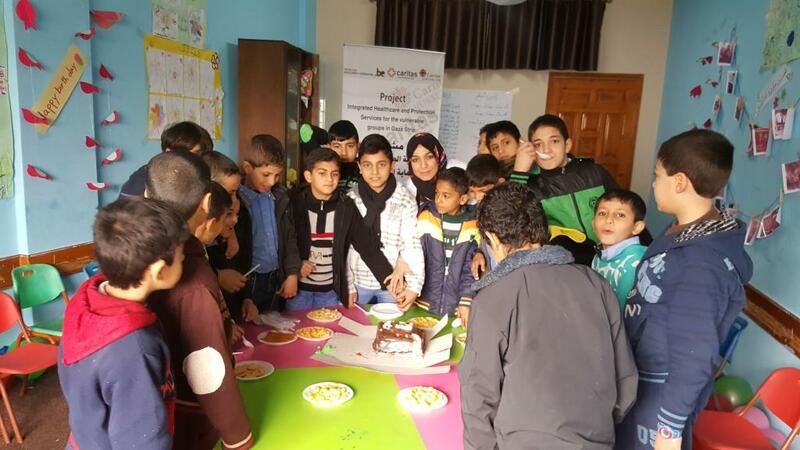 Caritas Jerusalem aims to build and improve the self-worth of the most vulnerable especially the children by decreasing the stress through different activities and entertainment games. 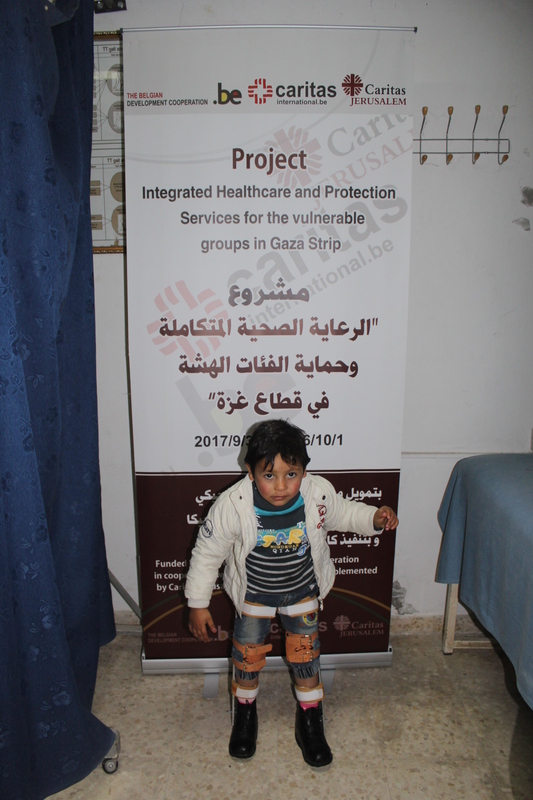 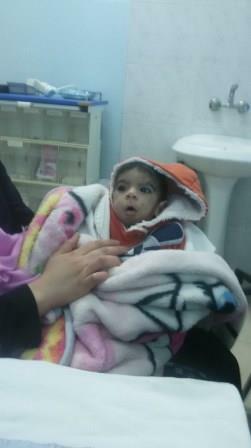 Through the past months, we have helped 457 children and Ahmad is one of them. 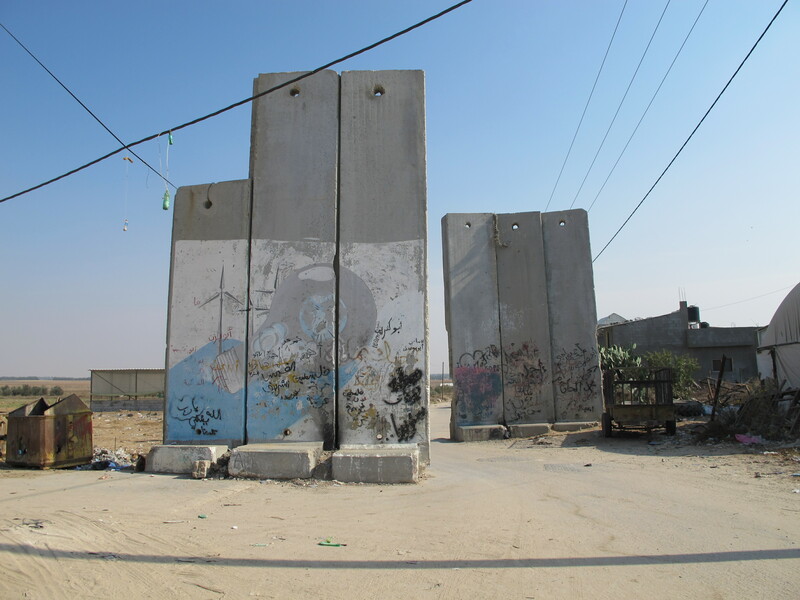 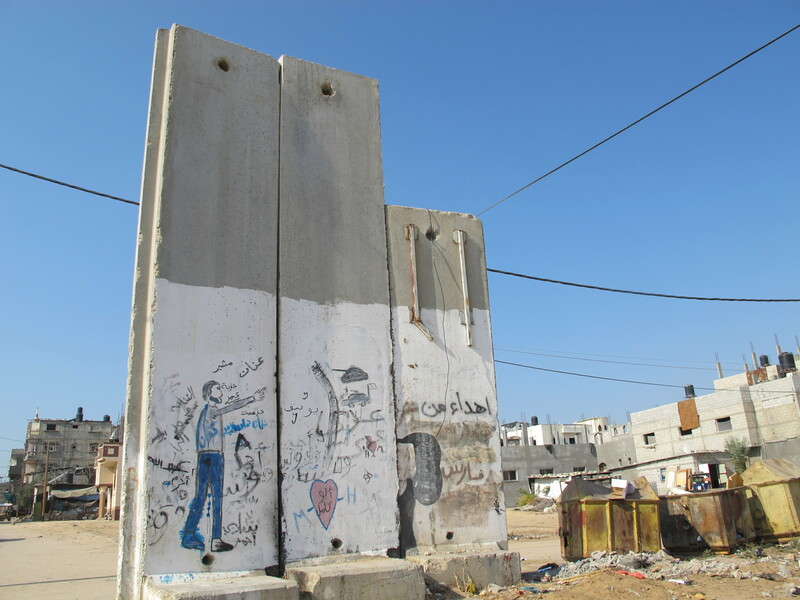 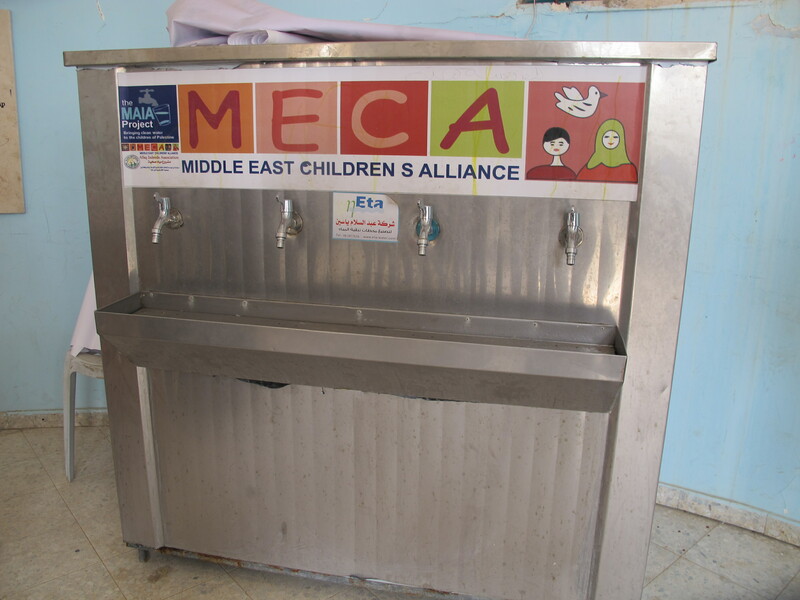 Ahmad is an eleven years old boy from Al -Shuja’iyya who lives with his parents and three siblings. 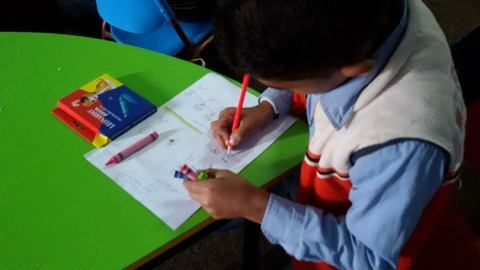 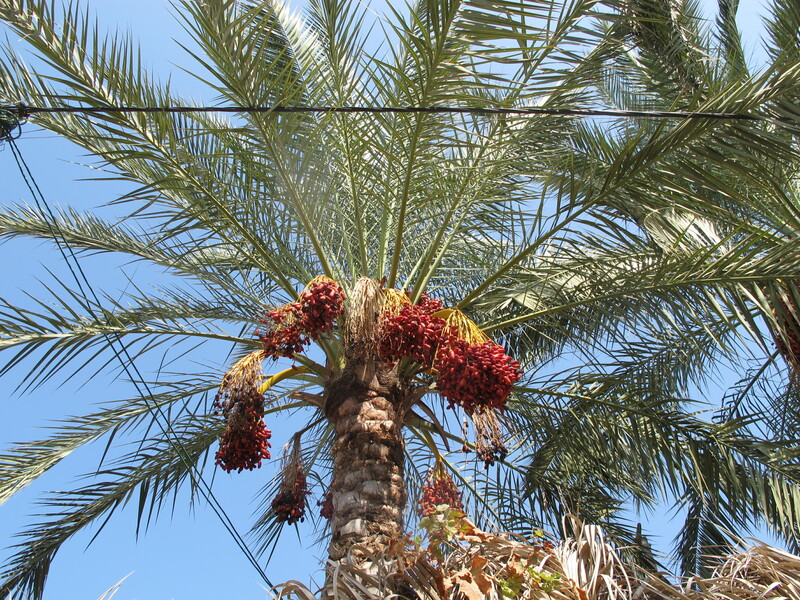 Ahmad was withdrawn, afraid of others, cannot defend himself and he had a constant feeling of inferiority due to the bad economic and social situation of his family.